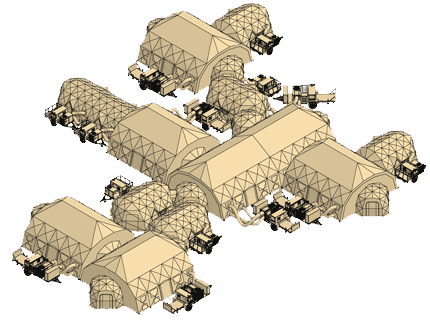 As part of the Army’s Standard Integrated Command Post System (SICPS) HDT Global’s Trailer Mounted Support System (TMSS) in cooperation with Northrop Grumman Corporation’s Command Post Platform (CPP) provide high mobility tactical operations centers that can be rapidly deployed for command, control and communications on the battlefield. 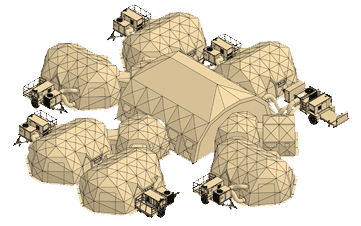 Utilizing the DRASH® Shelter and UST Trailer design, SICPS TMSS Medium and Large systems combine shelter, utilities, power, environmental control and tactical mobility to form a complete command operation center. Set up within minutes, the DRASH SICPS TMSS Medium provides more than 442 square feet of usable space, includes a 5 ton ECU, and allows for the use of up to 18 kW of power. The TMSS Large system provides 1,250 square feet of usable space, includes a 12 ton ECU, and allows for the use of up to 33 kW of power. Both systems are completely towable by military vehicles and have been tested to maintain ambient temperatures in climates ranging from -50°F to 131°F (45°C to 55°C). 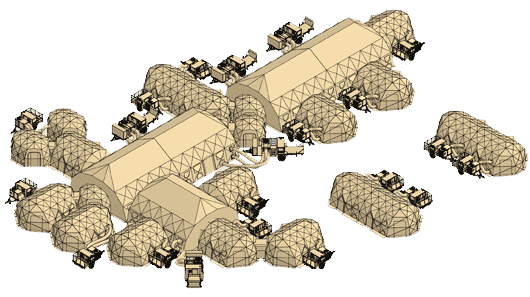 Because it is part of the Army’s SICPS Program, the TMSS systems are required to meet all Army requirements for command post systems and have undergone and passed extensive testing at the Army’s Aberdeen Test Center. HDT’s SICPS TMSS systems are currently being fielded to all U.S. Army maneuver brigade combat teams, including units in Iraq and Afghanistan. 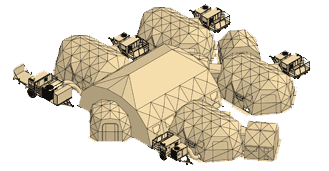 The TMSS is available through the Army’s SICPS Program, or sold as a shelter and trailer combination through HDT Global. LIN numbers and NSNs are available for both systems.